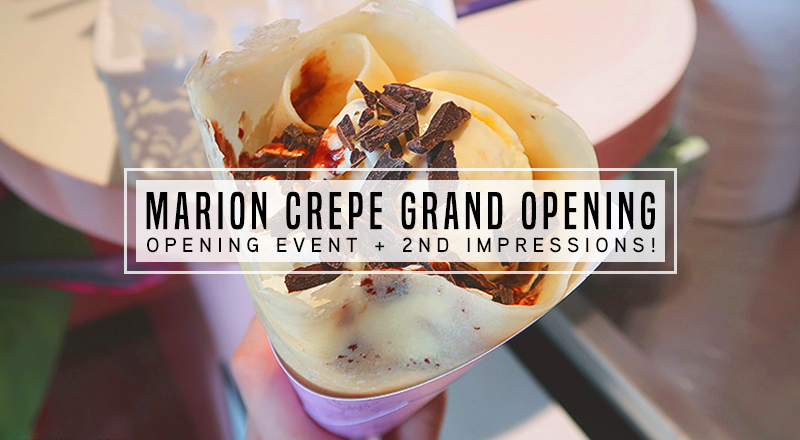 Marion Crepes Malaysia Grand opening event | C A N D A C E .
For starters, Marion Crepes is a really popular Japanese crepe franchise with 82 stores in Japan alone and 2 branches in Hawaii. 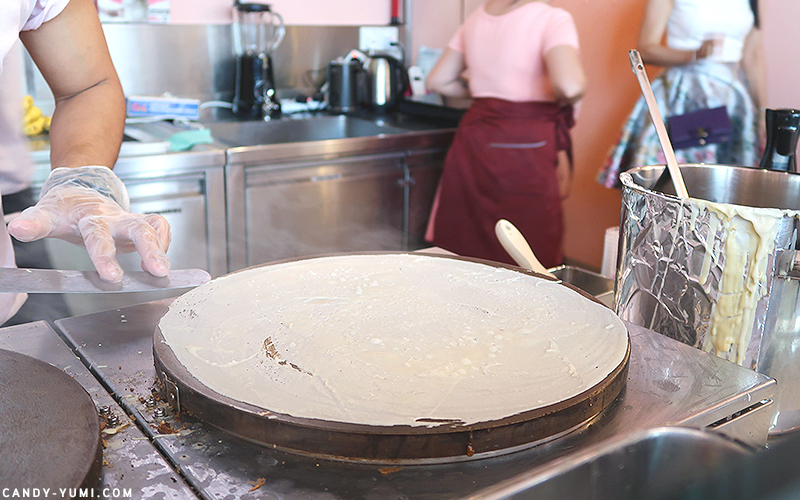 They are also the ones whom started the crepe revolution back in 1976 as they were one of the first few crepe shops in Harajuku. 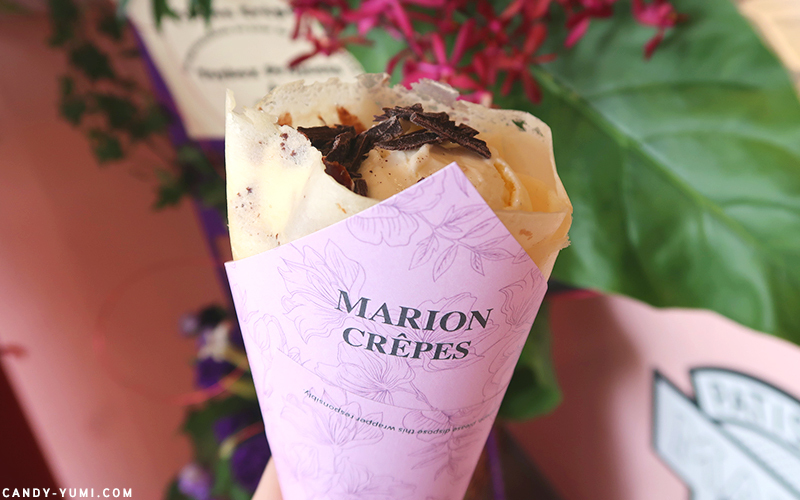 If you search Marion Crepes on Youtube, you'll find vlogs of people queuing long lines for their crepes at Harajuku. 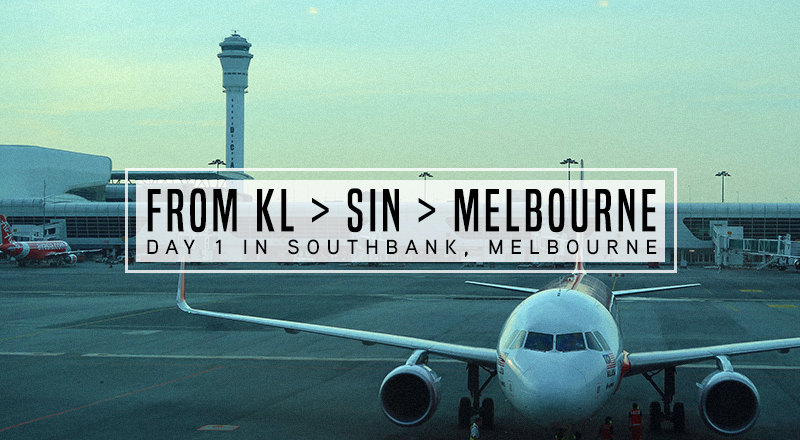 Lucky for us, you can now find them at Mont Kiara! Back to the opening event. When I got there, Nicole from Toybox Projects gave me this cute little goodie bag. Inside there is a free crepe voucher, an apple-jelly(?) flavour hello kitty Tokyo Banana, and two sachets of green tea. During the grand opening of Marion Crepes, Yuri from Toybox Projects(far right) was the emcee of the day. Special guest Koe Yeet (left), Marion Crepes Malaysia's Rep - Mr Tsutomu Yumoto (middle), and the chairman of Bernama TV news - Dato’ Seri Azman Ujang(right) was also present to kickstart the grand opening ceremony with a ribbon cutting session after their speech. 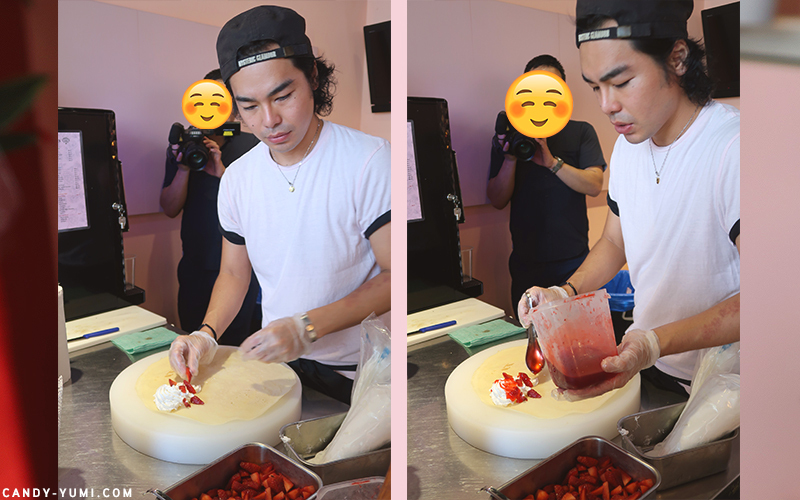 Later on, we moved into the store for their crepe demonstration session. I personally find it fascinating to watch people prepare desserts. It's just the sweet tooth in me screaming for joy y'know. 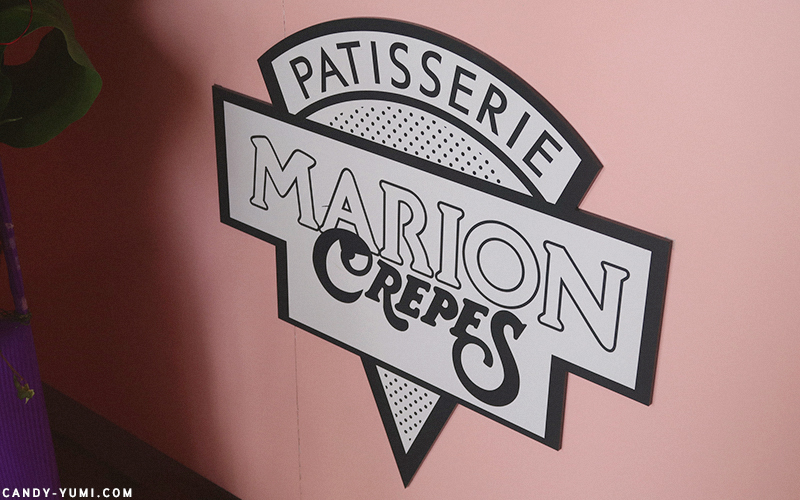 So at Marion Crepes Malaysia, you'll be able to live that joy as you watch them prepare your crepe right in front of your eyes. Keep reading because I've documented 90% of the process for you guys! 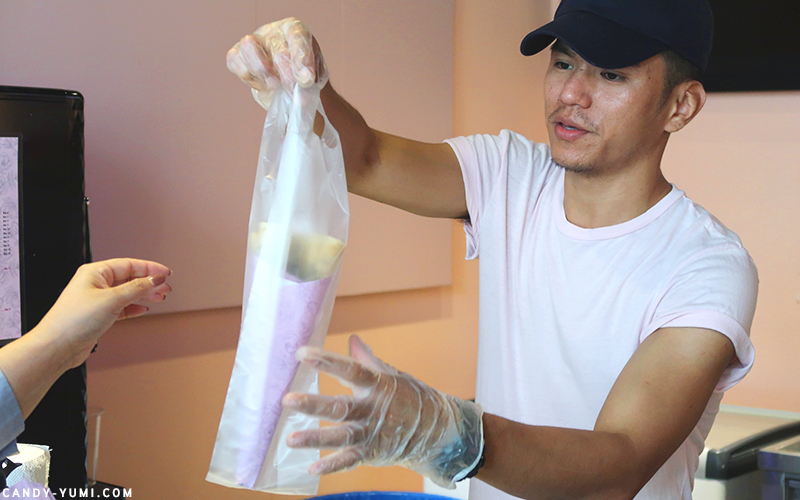 After seeing how japanese crepes are made, it was time for the food sampling session. 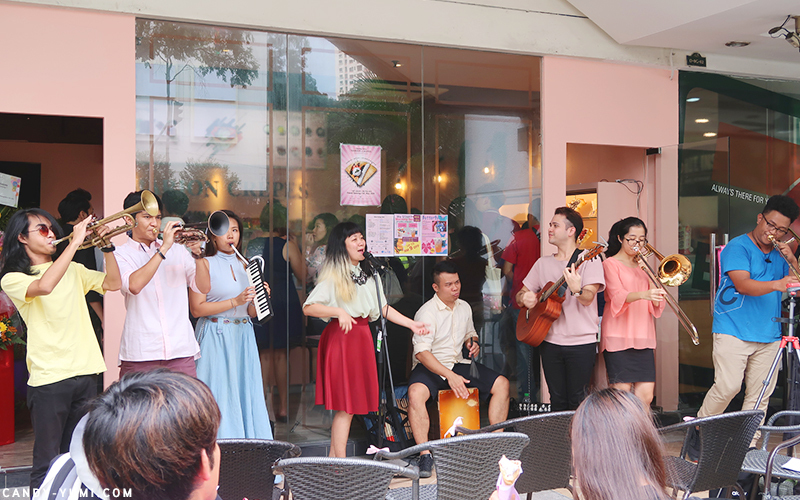 While the media were taking turns to order their crepe, our very own local band FAZZ performed a few songs. When there's food, there has got to be drinks. On a super hot Malaysian day, what better to have than a cup of refreshing iced green tea? 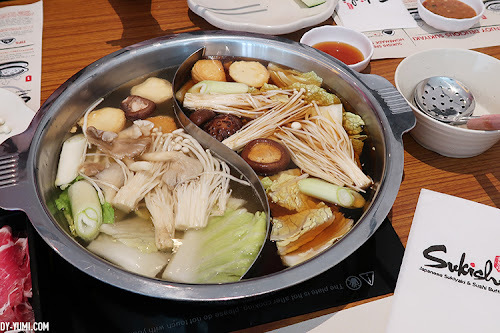 For those whom did not read my first impressions post, here's their menu. No more 'too reflective' menu yay. 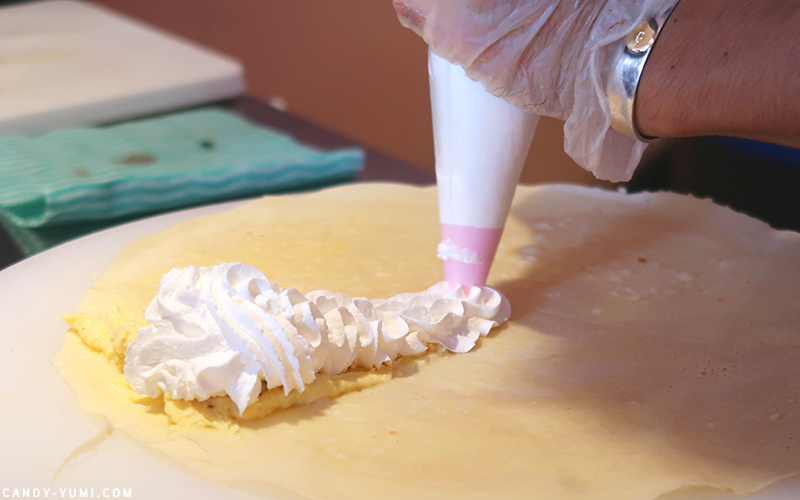 Back to the crepes. Marion Crepes offers a pretty decent selection of crepes with quite a number of toppings to choose from. 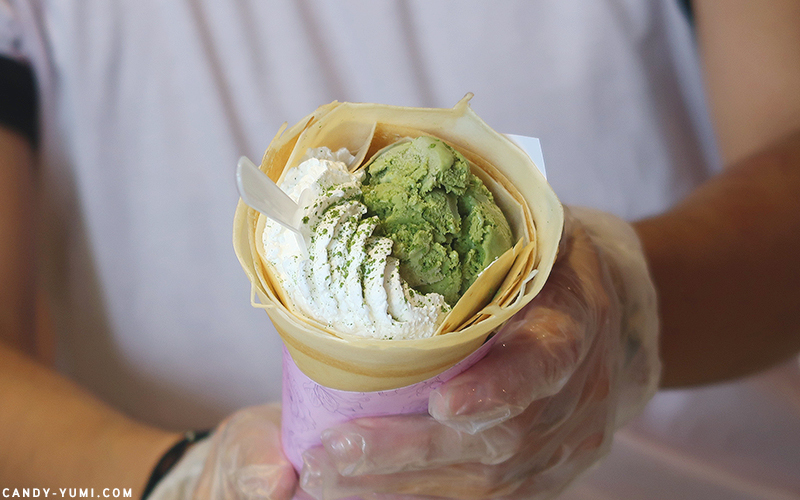 Other than the standard hot & cold sweet crepes like this one here that's topped with green tea ice cream, they also offer savory crepes like Tuna pizza cheese crepe, and teriyaki chicken with mayonnaise! 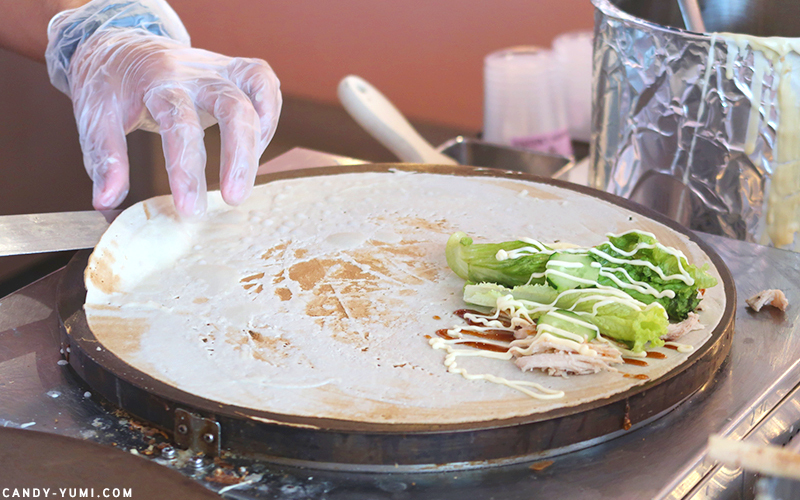 Here's a 'work in progress' photo of them preparing a Teriyaki chicken with Mayonnaise crepe! Since there are so many flavours to choose from, people with 选择困难症 a.k.a troubles making decisions like me are gonna have a tough time choosing. 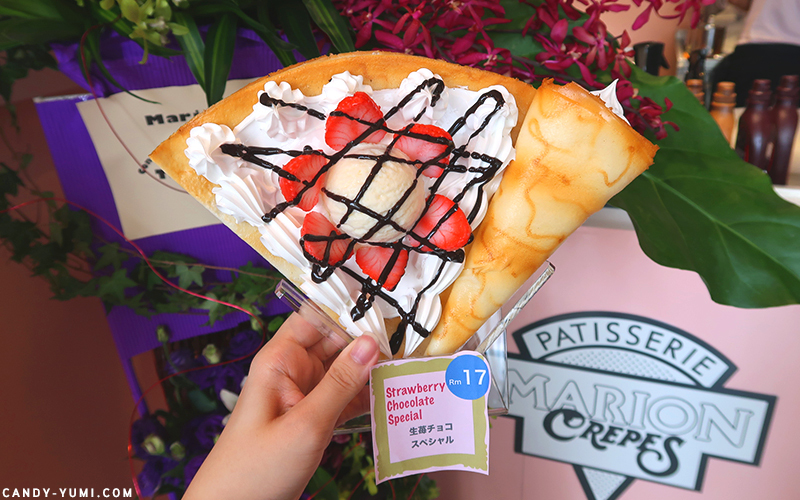 So for those wondering, some of their best sellers would be the Strawberry Chocolate special crepe, Japan Special crepe, and Chocolate special crepe. Personally I'm a fan of chocolate flavour treats. 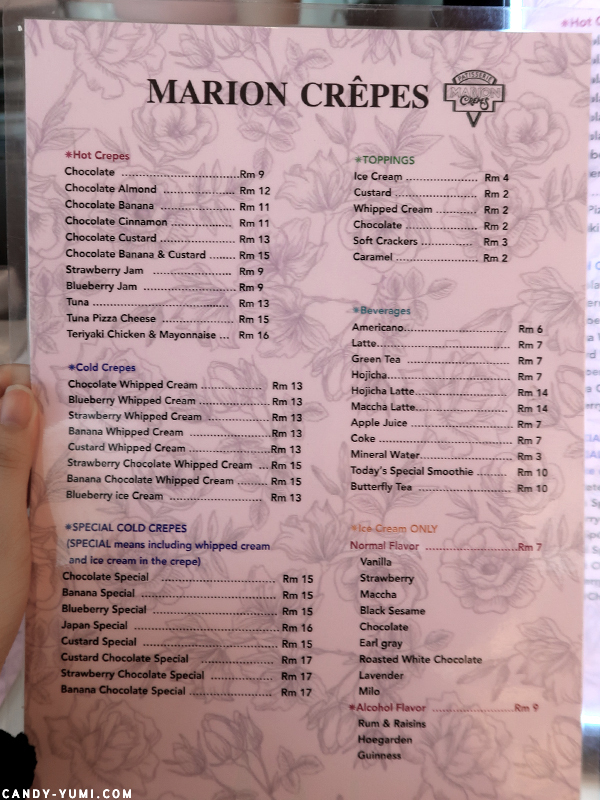 During my first visit to Marion Crepes Malaysia, I have already tried their Strawberry Whipped cream cold crepe. 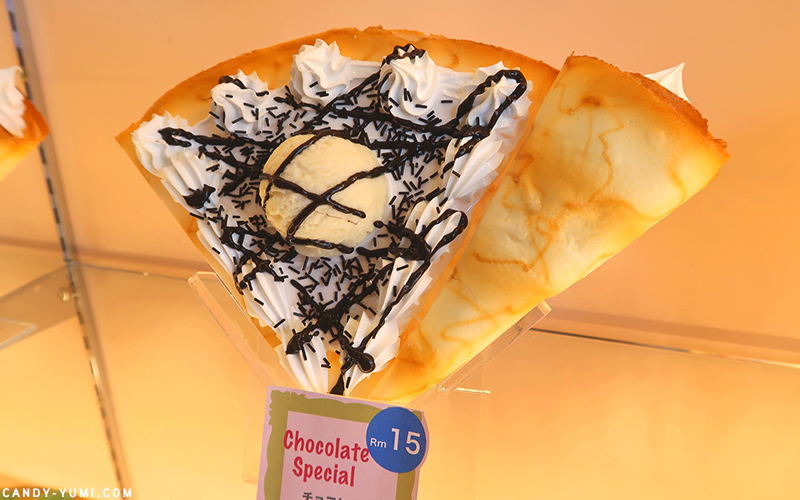 This time I decided to try their Chocolate Special crepe instead. Throw on some Chocolate bits. Only occurred to me now that they used chocolate shavings instead of chocolate sprinkles like the wax display. But hey, I ain't complaining haha. I'd take chocolate shavings over chocolate sprinkles any day! and viola!! 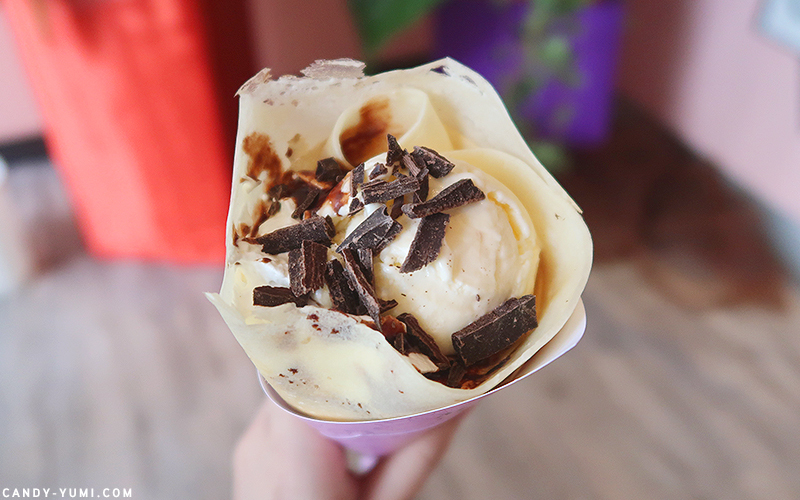 Our Chocolate special crepe topped with vanilla ice cream is served! My final verdict on their Chocolate Special crepe is that I reeaaallyyyyy love it! Compared to my first visit, I think they're now more generous with their whipped cream haha. Other than that, they have also solved my previous issue where the crepe was stuck on the wrapper! I think now they let their crepe cool down a little before they start assembling so the crepe won't stick to the wrapper anymore! There's not much to say since it's my second visit so I guess that's all for today! 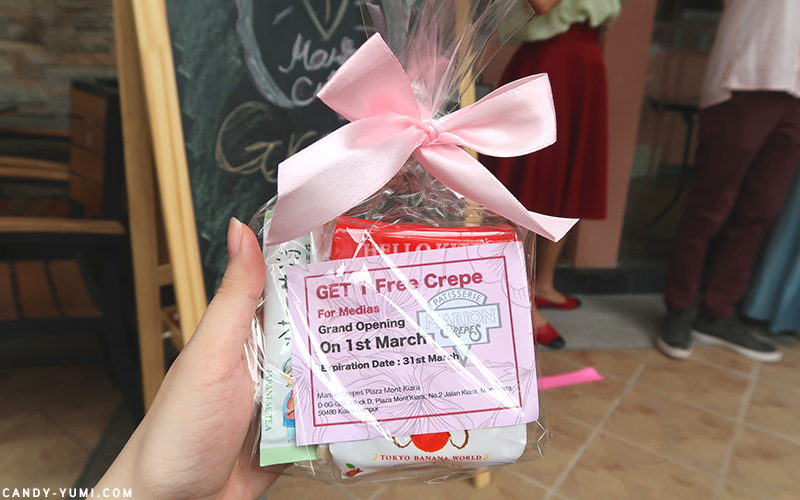 Once again, congratulations to Marion Crepes Malaysia on your grand opening. 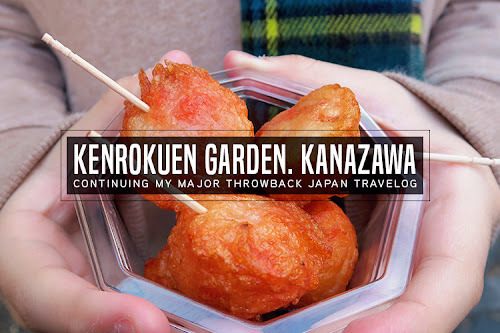 They've definitely improved since their soft launch period so I do recommend visiting and trying some japanese crepes. 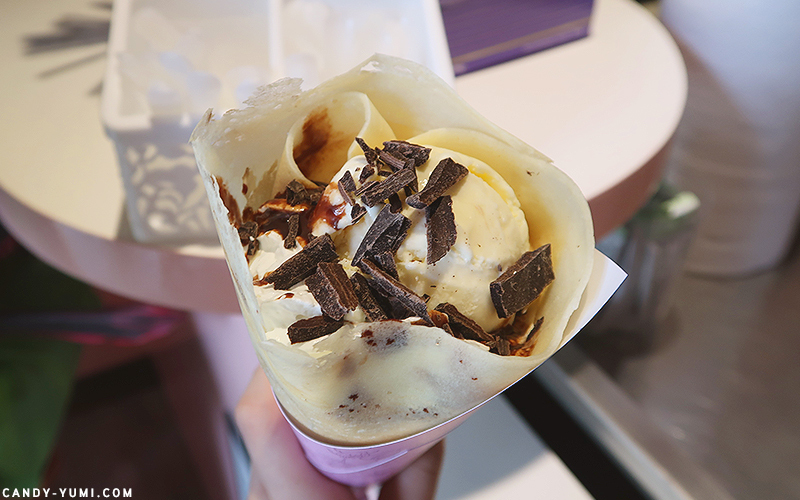 I remember back then there used to be stalls at shopping malls selling japanese crepes but I've never had any of em' until Ducky bought me one at Liang Court Sinagpore LOL. That was when I know what I've been missing out on all my life. Also I noticed that they've printed more menus + like I mentioned earlier, fixed the 'too reflective' menu problem. So can we just pretend that they decided to fix that after seeing my first impression blog post? HAHAHAHA. ok ok just kidding! I shall sign off now! 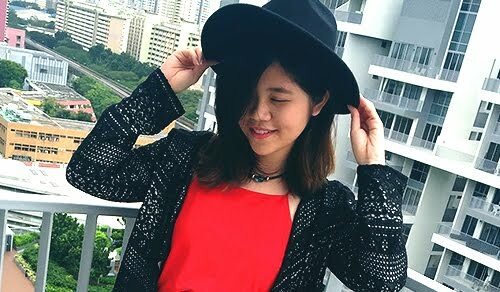 Sayonara! PS. 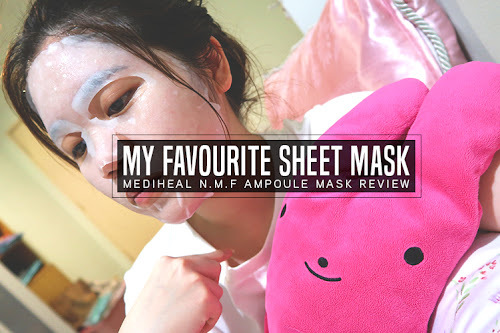 Read my first impression hereee! 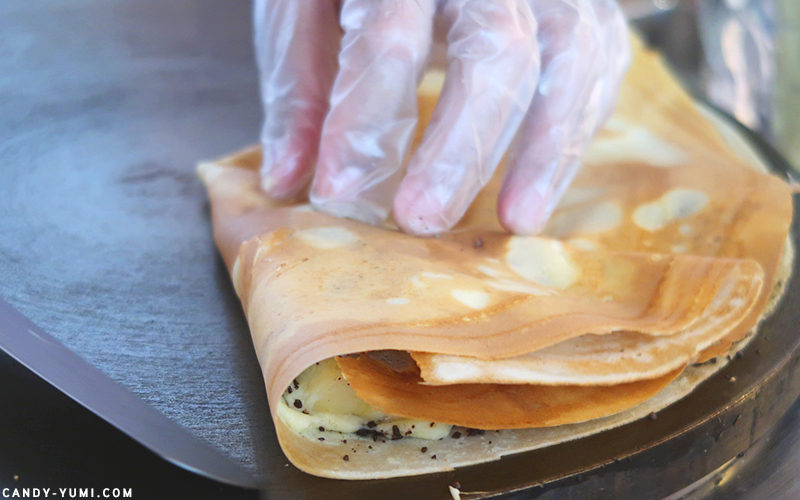 PS*2, Marion Crepes Malaysia, if you're reading this, please bring in cheese cake topping soon! Business hours: 8:30a.m. - 9:00p.m.